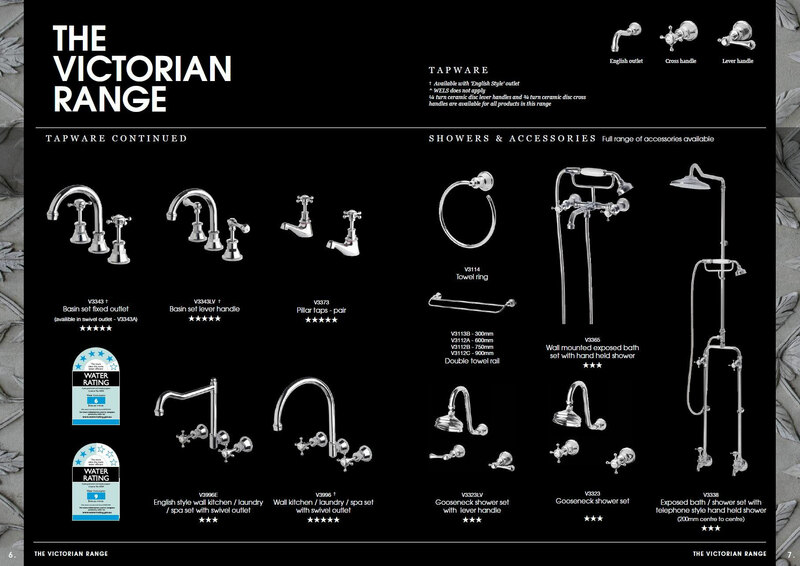 An Australian brand with nearly 30 years experience in the tapware and accessories market Bastow is recognised as one of Australia’s market leaders in the design and manufacture of quality tapware and bathroom accessories. Bastows’ strict adherence to quality system guidelines guarantees the outstanding quality and reliability of its products. 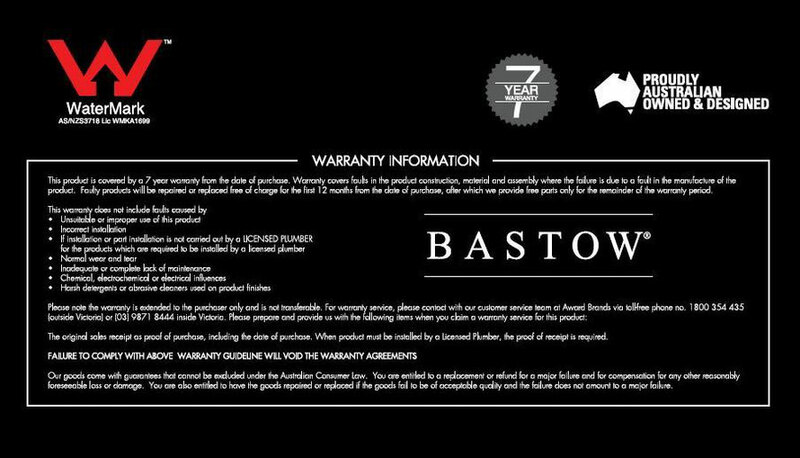 Bastow tapware and accessories are guaranteed against faulty workmanship and/or materials for seven years. 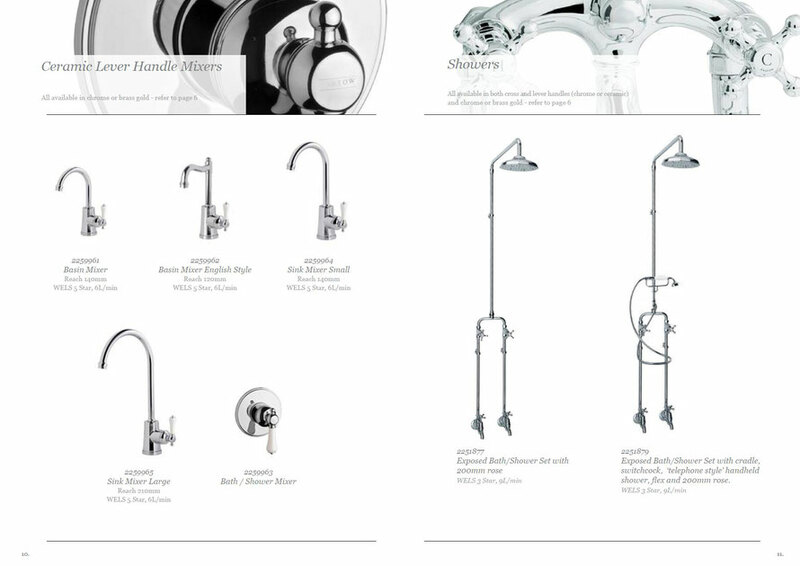 Furthermore, our tapware complies to Watermark (AS/NZS 3718) and WELS ensuring the best possible quality product and peace of mind. 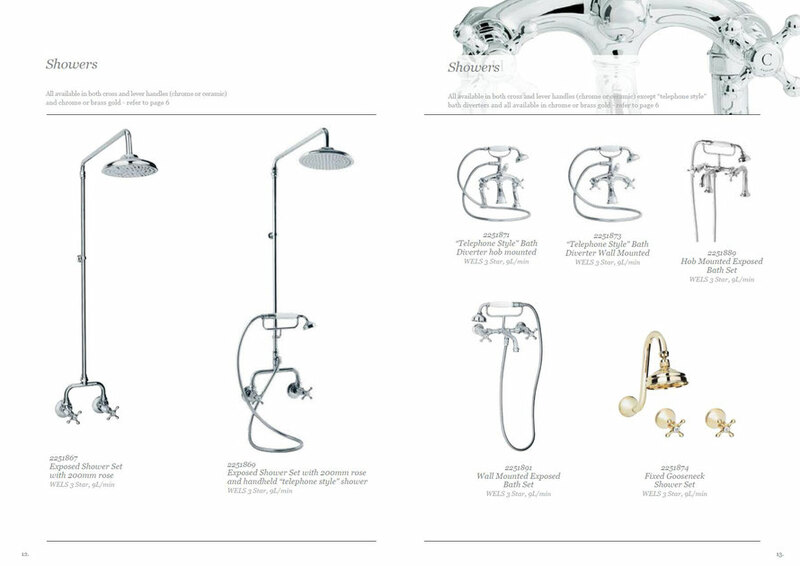 Bastow ranges vary from yesterday’s bygone era to tomorrow’s stylishly modern designs. 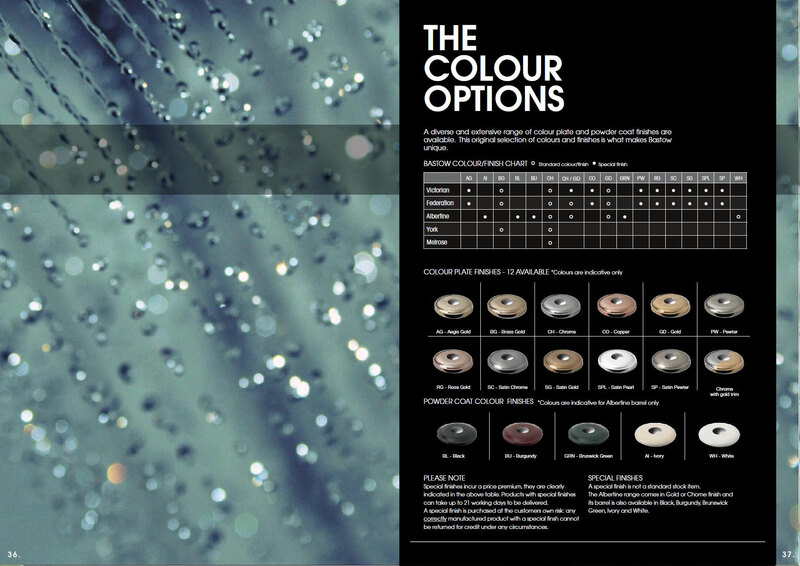 Bastow also have a diverse and extensive range of colour plate and powder coat finishes available. This selection of colours and finishes coupled with Bastows’ broad offer in style is what makes it unique. Experience the Bastow difference for yourself! 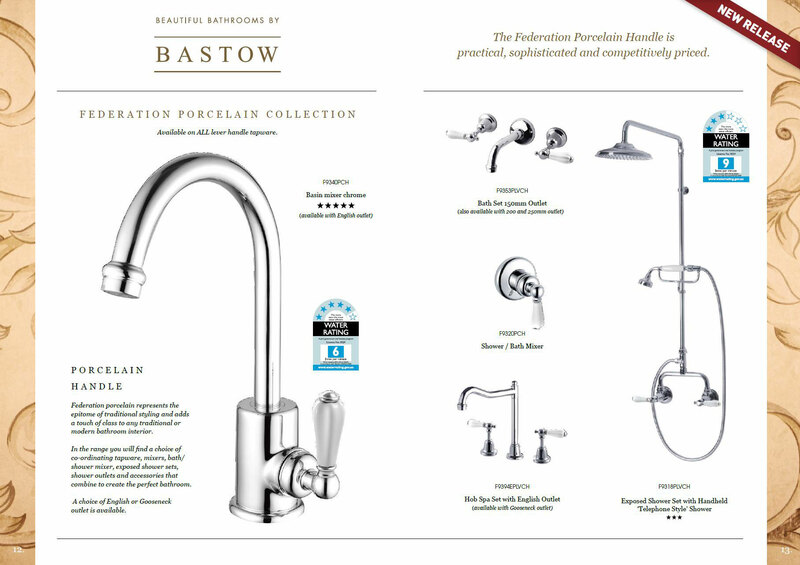 The Bastow Federation range includes an extensive assortment of accessories. 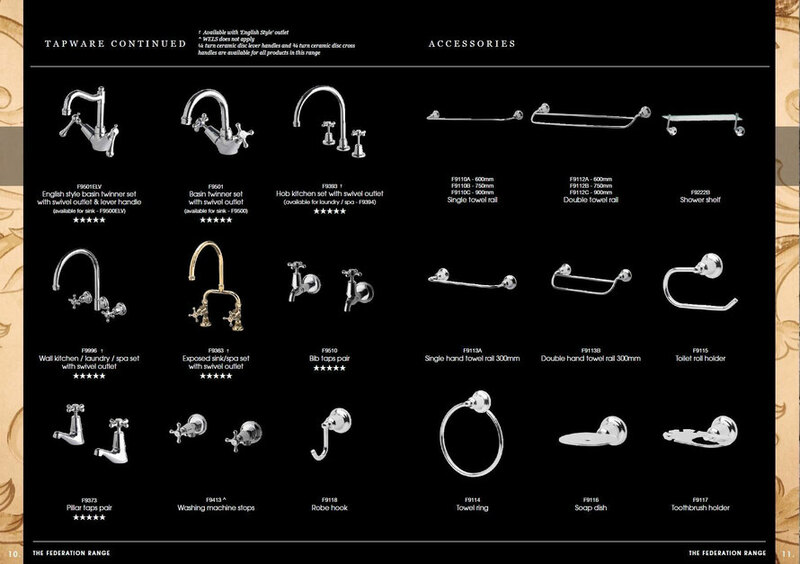 The elegant styling of the accessory range ensures each piece is suited to either a traditional or contemporary bathroom. 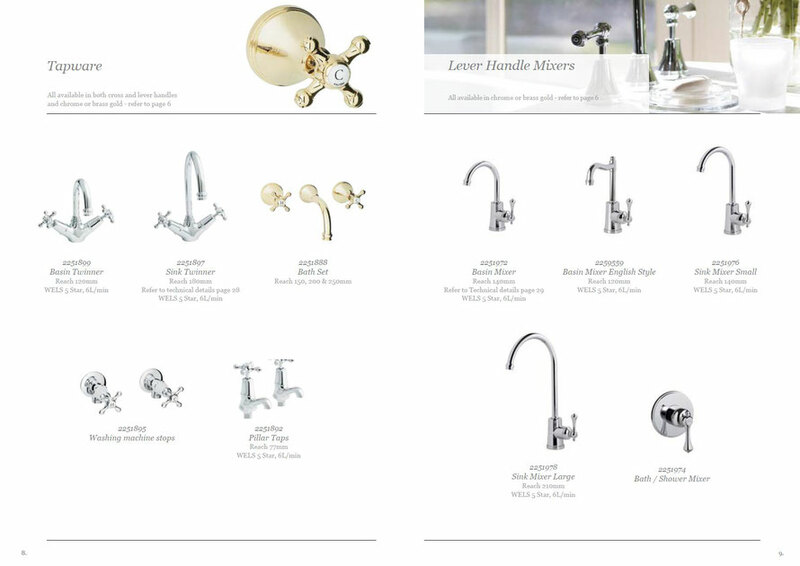 Available in traditional brass gold and classic chrome. 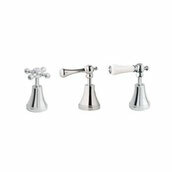 Federation shower outlets provide for a luxurious bathing experience. 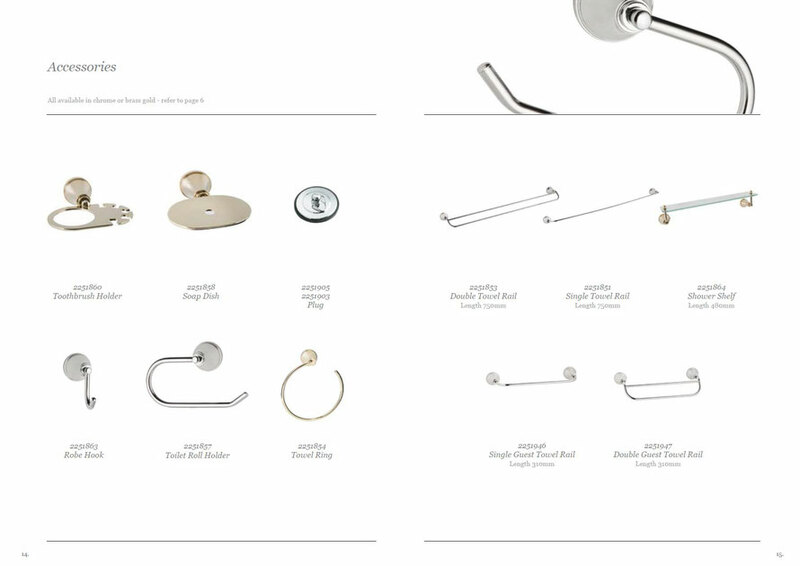 Available in hob or wall mounted & are perfectly designed to complement basin sets. 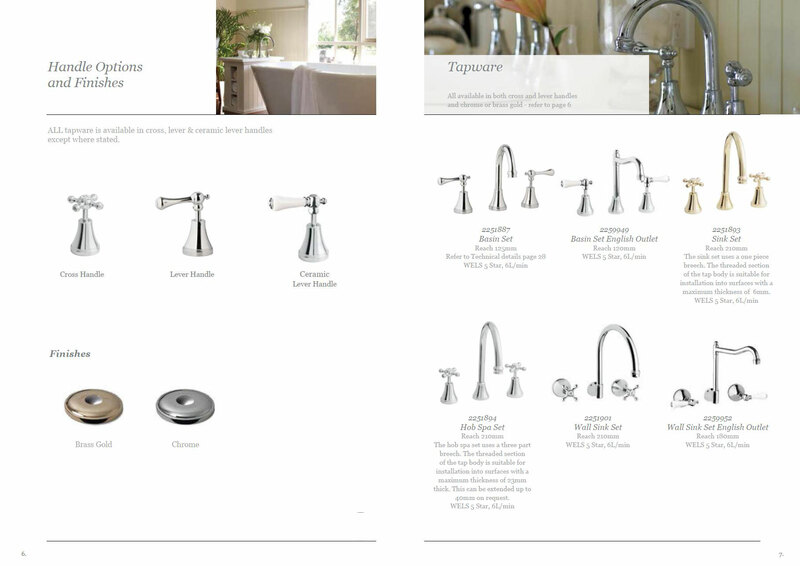 Choose from a cross or lever handle with ceramic discs(excluding the telephone style bath diverters). 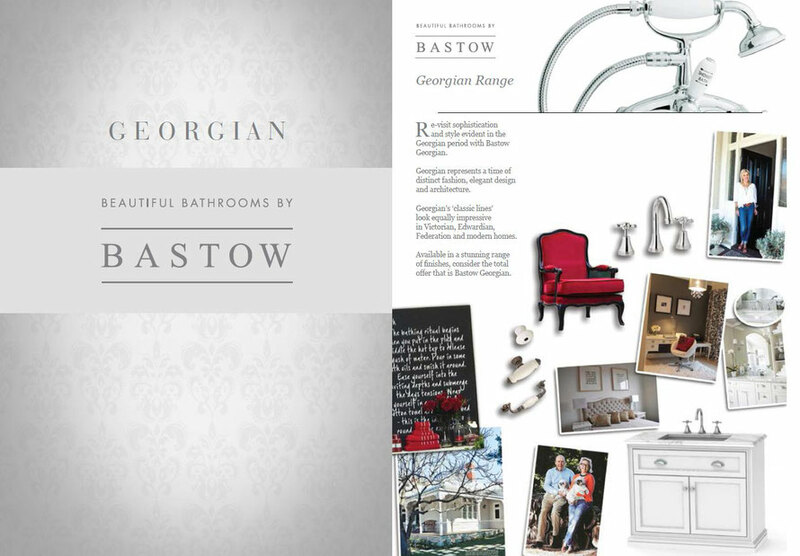 Re-visit sophistication and style evident in the Georgian period with Bastow Georgian. 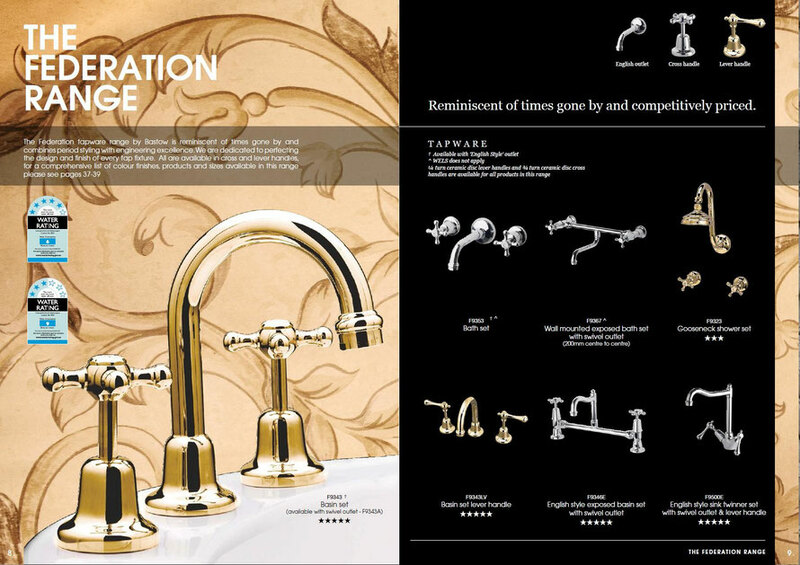 Available in a stunning range of finishes, consider the total offer that is Bastow Georgian. Georgian faithfully captures the look and feel of this elegant, historic period. 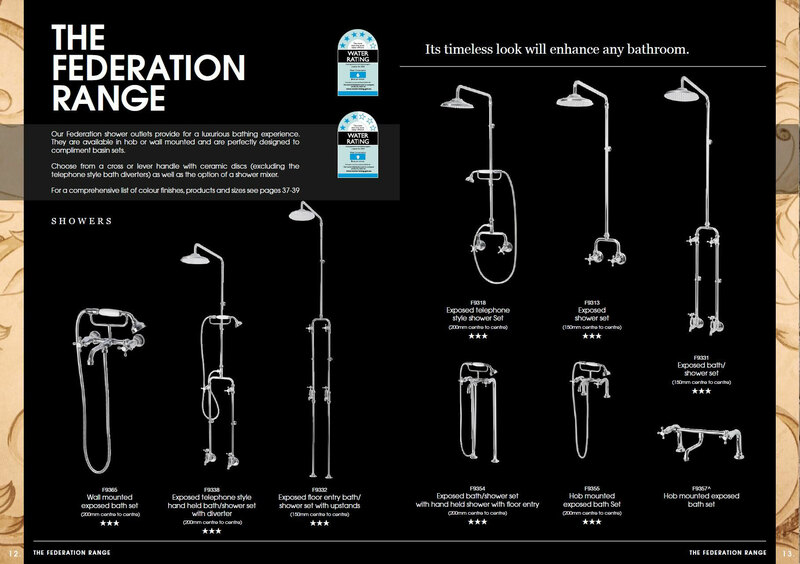 Its timeless style adds a touch of class to any home. 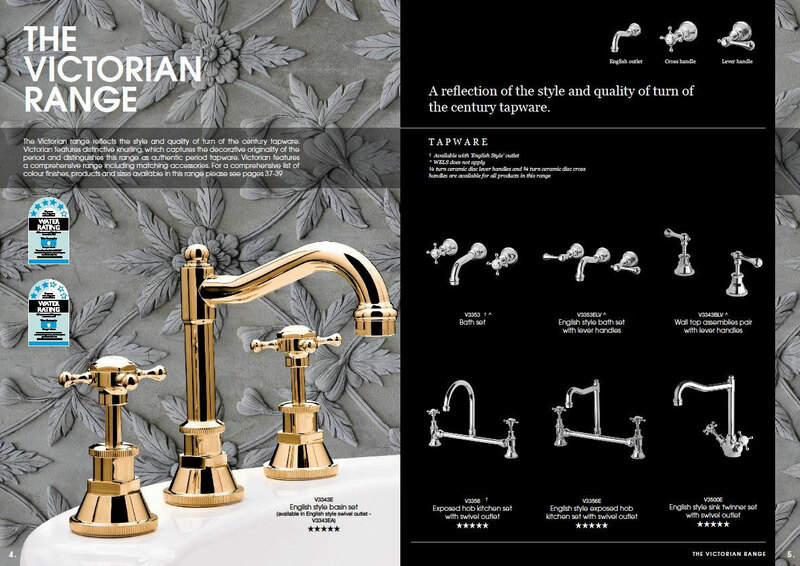 Boasting an extensive range of exposed tapware, the Georgian range provides sophisticated, authentic and affordable tapware that will enhance any interior. 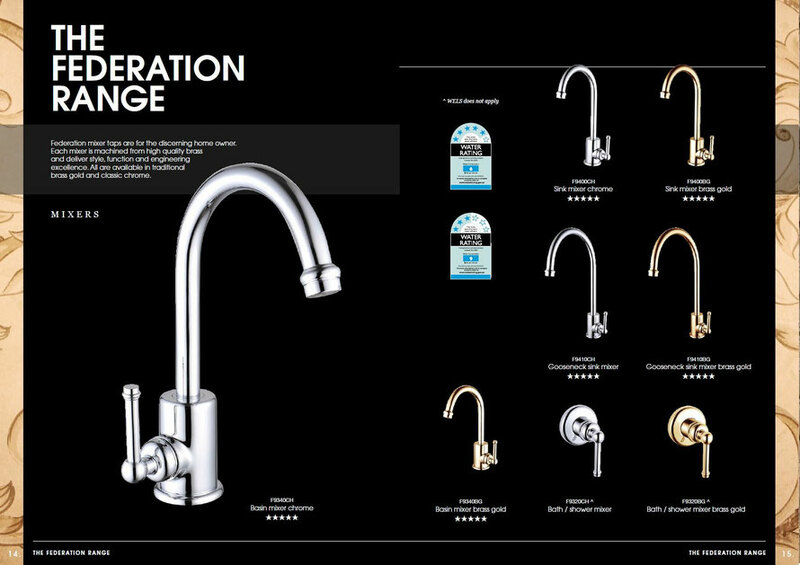 Manufactured to the highest standards, Georgian is available in a range of traditional styles, exposed configurations and finishes. A comprehensive range of matching accessories is also available.